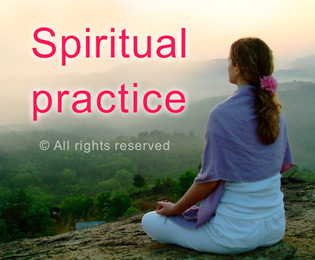 The word prayer or prārthanā (in Sanskrut) is derived from two words ‘pra’ and ‘artha’, meaning pleading fervently. In other words, it is asking God for something with intense yearning. Prayer includes respect, love, pleading and faith. By praying, we express our helplessness and endow the doership of a task to God. Praying benefits us at the level of action, thought and attitude. It is a cornerstone in spiritual practice because it enhances the potency of chanting the Name of God, gives us Divine protection from ghosts and departed ancestors, reduces ego, and increases our faith. Over time, frequent prayers help to dissolve our mind and intellect and through them we gain access to the higher Universal Mind and Intellect. It is also an effective means of awakening our spiritual emotion (bhāv) and experiencing communion with God and the Bliss (Ānand) that results from it. This section is dedicated to increasing our understanding of prayer through spiritual research, and to give us motivation to pray frequently and sincerely so that we can experience its tremendous benefits starting today itself. 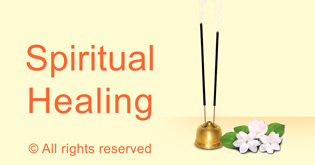 The word prayer is derived from the two Sanskrut words ‘pra’ and ‘artha’ meaning pleading fervently. In other words, it is asking God for something with intense yearning. By praying for spiritual growth, we slowly dissolve the mind, intellect and ego and experience more Bliss as a result. Praying improves spiritual practice, enhances chanting the Name of God, brings us Divine help in spiritual practice, reduces our ego, protects us from Ghosts, grants us forgiveness of mistakes and more. A seeker with the spiritual emotion of gratitude is always close to God. Praying without expectation results in faster spiritual growth and conserves our spiritual energy. Making use of the DDFAO technique, we were able to see the clear benefit prayer has on our chakras. In this article we provide an overview of how prayer works. Praying before meals allows us to imbibe the maximum spiritual benefit from the food. Pratik overcame compulsive overeating by praying in just a few days. Anupama was cured of hair loss through spiritual healing and prayer. 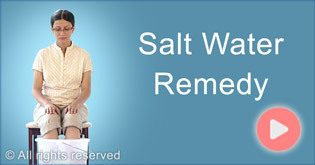 The salt water remedy is an affordable and effective way to reduce distress from negative energy. 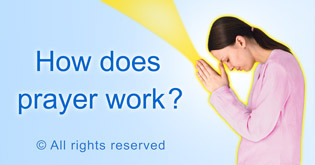 This video discusses the effect of prayer on our chakras. 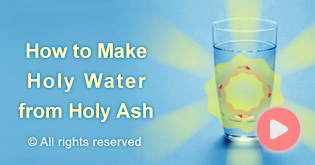 Holy ash can help us overcome illness and distress with a root cause in the spiritual dimension. 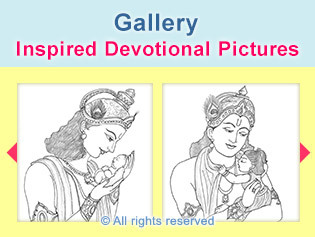 We can awaken spiritual emotion and experience Bliss more quickly by praying frequently. Prayer is one of many simple, yet powerful healing tools we have at our disposal. 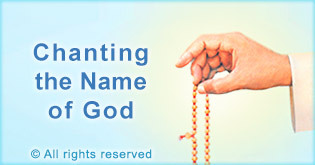 Prayer, coupled with chanting the Name of God provides fast spiritual progress. SSRF editor Sean Clarke recounts a heartening spiritual experience of prayer while shooting an SSRF documentary. How many times have you asked others to pray for you? How many times have others asked you to pray for them? Suppose one has 50 to 100 people praying for one - is it of any value and does anything come out of it?